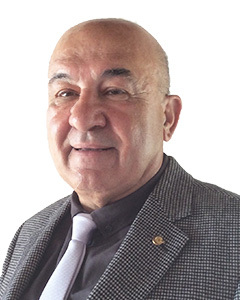 Oğuzhan started his professional career in a public computer centre in Germany, delivering services to hospitals both at administrative and medical levels. In the second phase of his career, he held middle and high-level management positions at leading large-scale manufacturing companies in Turkey, leading the implementation of several change management projects. In the third phase, as self-employed, Oğuzhan represented an American manufacturing company in Turkey, also promoting sales and assisting SMEs in business development and initiating exports/imports. After Turkey’s entrance into pre-accession phase of EU membership, Oğuzhan took part in international technical assistance teams of several EU funded projects. He also worked also as local senior expert in UNDP projects related to local and regional development, entrepreneurship and SME support. In addition, Oğuzhan supported the UNIDO country office as a national consultant for defining feasible project ideas originating from the public sector. In collaboration with ministries, governmental institutions, regional development agencies, business associations, development banks, CSOs, NGOs and public administrations related to these projects, Oğuzhan gained comprehensive experience in the activities and expertise of these organizations. Oğuzhan is also an active supporter of civil environment protection activities, renewable energy, and mitigation against climate change. Education: B.Eng. from Middle East Technical University in Ankara as an Industrial Engineer. German language Academic Sufficiency Certificate at Ruhr University, Bochum. Languages: Turkish (native); German (fluent); English (fluent).